Furosemide is a diuretic which works directly on the kidneys. It is most commonly used to aid in relieving excess fluid in patients who have conditions such as congestive heart failure, diabetes or progressive kidney problems. The reason why a diuretic is necessary in such cases is that excessive fluid build-up can be life-threatening. As there are quite a few medications, both prescription and over-the-counter varieties, which can interact with furosemide and cause serious complications, it is absolutely essential that your physician be made aware of anything that you may be taking. Even something as basic as plain aspirin can pose potential difficulties when used with furosemide. The effects of drug interactions can range from problematic to deadly, so make sure that you do not take anything without your doctor’s knowledge. A frequent side effect from diuretics in general is that this type of medication tends to deplete the body from the electrolytes which it needs in order to function properly. In other words, relieving the body of its excess, potentially-damaging fluid often results in loss of important nutrients, such as potassium. If your physician has recommended that you use furosemide, it is necessary for him to also make recommendations as to how to keep this all-important balance in your body; depending on your own personal health factors, he may advise a specific type of vitamin and mineral supplements, or he may think it best for you to begin including foods in your everyday diet that are rich in these elements. Even if you may be tempted to think that using a diuretic like furosemide is not serious, this is a mistake. In addition to the possibility of losing important nutritional elements from your system, it also has the potential of causing many side-effects, some of which are minor and some of which are quite severe. 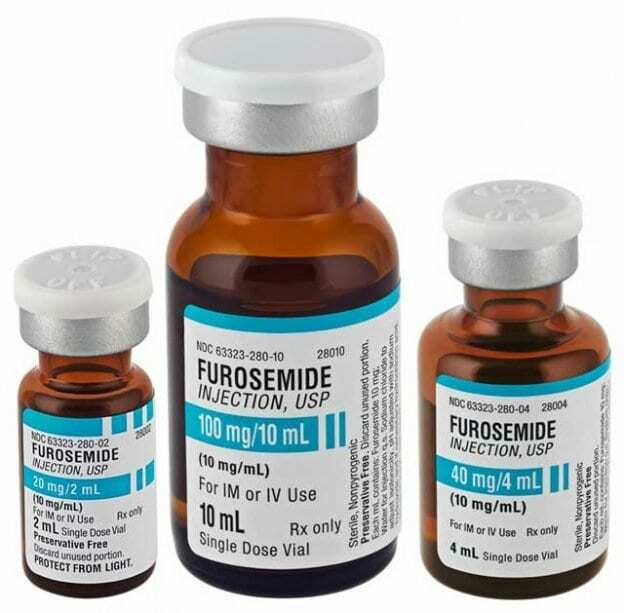 The side-effects generally associated with furosemide include, but are not limited to, difficulties and reactions in the gastrointestinal system, negative effects to the blood, problems in the central nervous system, and a variety of allergic reactions which differ greatly from person to person. If your doctor has prescribed furosemide for you, you should take some common-sense precautions. One is that you should not use alcohol or any type of other drugs without first checking with your doctor. You should also be aware of the risks for side-effects, and consult your physician immediately if you begin to experience any of them. Side-effects can be problematic enough in themselves; but left untreated can have even more serious results, possibly even death. As is the case with most prescription medications, when furosemide is used correctly, in accordance to instructions, it can be an excellent tool for treatment and improving your overall health; but as is also the case with any medication, one of the largest factors in how effective and how safe it ultimately is rests on cooperating with your physician and using it exactly the way that he directs.